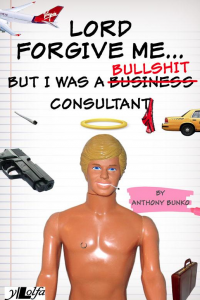 Bestselling Author, Anthony Bunko grew up in a rough old tough old industrial town in the Welsh valleys called Merthyr Tydfil. While some people got born into wealth and riches, he was given a simple nickname (that no one understood) and a great upbringing. He stumbled into writing, more by accident than judgement, after getting stuck in a three hour traffic jam one rainy afternoon. During the boredom, he picked up a pen and started scribbling away a story about naughty monkeys! Suddenly something exploded inside of him. It became his passion; his energy. Over the years Bunko has written many bestselling books for grown-up people with heads like damaged fruit. Plus he’s also penned a stack of autobiographies for many interesting superstars of rock music, film and sport. However, his real love is when he teams up with the dark, slightly manic teenager who occupies a room in his imagination and dresses like a Red Indian in punk rock trousers and monkey boots. Together they create a wondrous world full of strange looking creatures, 3 legged dogs, working class astronauts, rebellious sheep and demons that turn nice when they are nasty. Read more about Bunko on the link below. An interview with the Western Mail.